Amazon Simple Email Service (SES) is a cost-effective email service built on the reliable and scalable infrastructure that Amazon.com developed to serve its own customer base. With Amazon SES, you can send transactional email, marketing messages, or any other type of high-quality content to your customers. 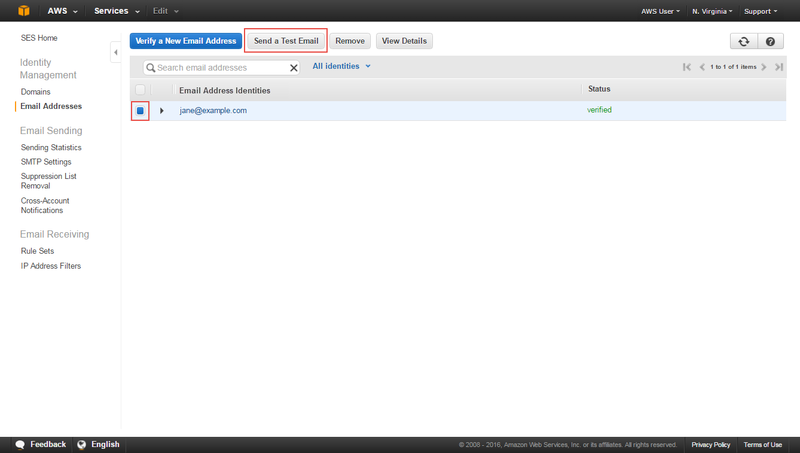 In this tutorial, you will learn how to send your first email using Amazon SES. We will walk through how to verify that you own the email address, and then send an email using the Amazon SES console. The total cost of running this tutorial is $0.10, regardless of whether you are in the AWS Free Tier. When you click here, the AWS Management Console will open in a new browser window, so you can keep this step-by-step guide open. 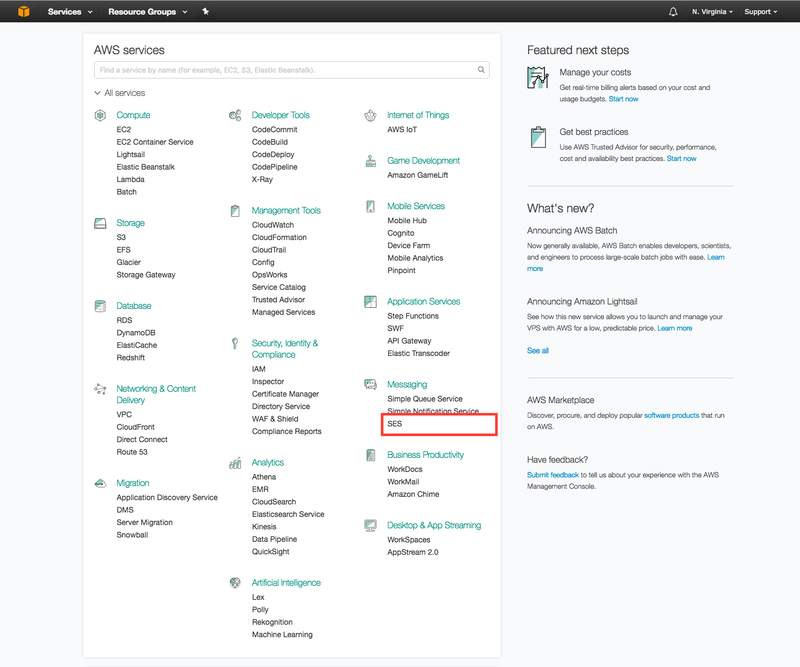 To open the Amazon SES console, look under Application Services and select SES. Before you can send an email using Amazon SES, you must prove that you own the sender's email address by verifying the address (or the domain of the address) with Amazon SES. If you are a new user of Amazon SES, you must also verify the recipient's address, because your account is in a test environment called the Amazon SES sandbox. You can later apply to move out of the sandbox and lift the recipient address limitation. 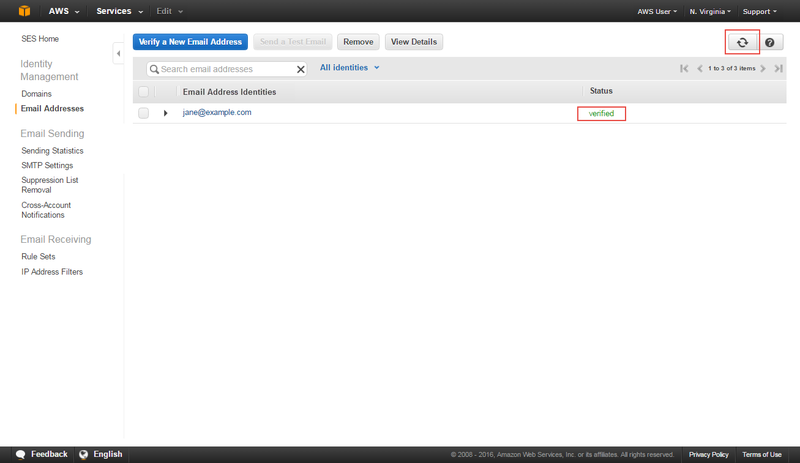 In this tutorial, you will send an email to and from the same email address. a. 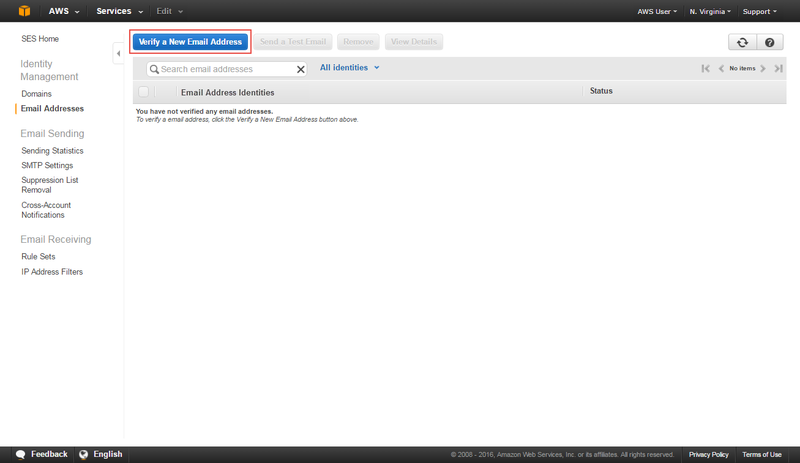 In the left navigation pane of the Amazon SES console, under Identity Management, select Email Addresses. b. 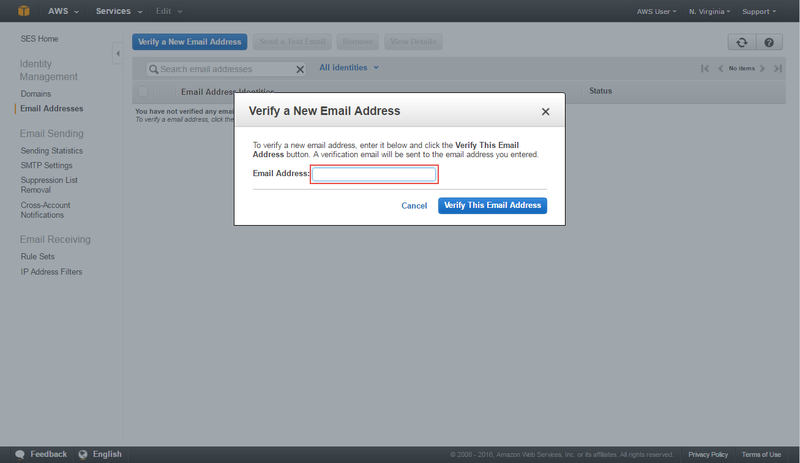 Select Verify a New Email Address. c. Enter your email address, and then select Verify This Email Address. Amazon SES will now send a verification email to that address. d. Sign in to the email client you use to receive email for the email address you entered in the last step. In your email client, open the message from Amazon Web Services asking you to confirm that you own the email address. Click the link in the message. e. Go back to the Amazon SES console, and refresh the identity list by using the refresh button near the top right of the console. Confirm that the status of the email address in the Amazon SES console is verified. Now that you have verified an email address, you can send an email. With Amazon SES, you can send an email in three ways: using the console, using the Simple Mail Transfer Protocol (SMTP) interface, or using the API. This tutorial shows how to use the simplest method, the console. After you get started with Amazon SES, you will want to send your emails using the SMTP interface or the API, because you can access those programmatically. 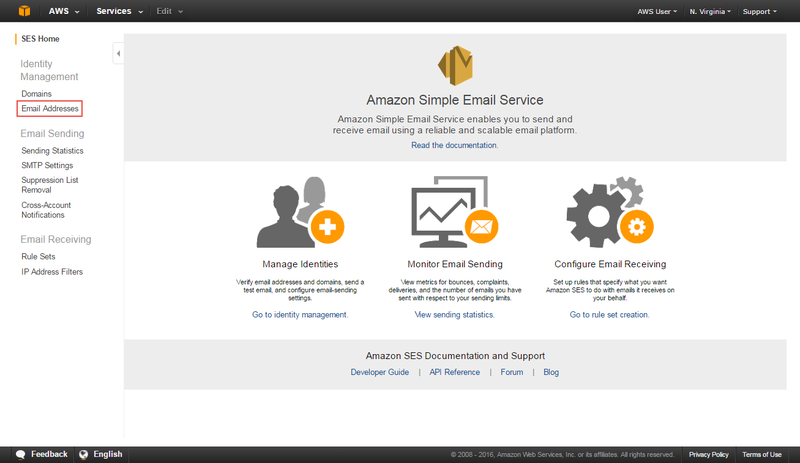 With Amazon SES, you can send formatted email or raw email. If you choose formatted email, Amazon SES formats the email for you. If you choose raw email, you must manually format the email, which gives you more control over the email headers and how the message displays. In this tutorial, we use raw format so that we can demonstrate how to send an email formatted in HTML. a. In the Amazon SES console, select the button to the left of the email address you just verified, and then select Send a Test Email. b. In the Send Test Email dialog box, use the following values, and then select Send Test Email. Email Format – Choose Raw. To – Enter the email address you verified. Message – Copy and paste the following text, exactly as shown, into the box. Important: After you paste the message text into the box, delete any blank lines before the "Subject" line, so that the received message is formatted correctly. c. Sign in to the email client of the address you sent the email to. You will find the message that you sent. If you cannot find it, check the spam folder. You have sent your first email using Amazon SES. Set up a process to handle bounces and complaints. Apply for a sending limit increase. If granted, this sending limit increase will move your account out of the sandbox, remove the restriction on recipient addresses, and increase your sending limits. 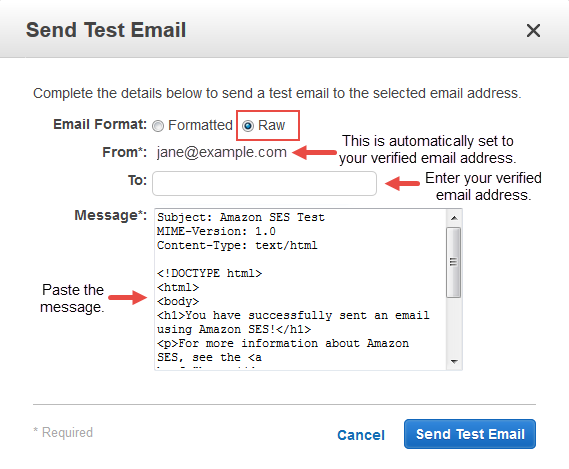 Decide whether you will send your bulk email using the Amazon SES SMTP interface or API. You can use the API either directly or through an AWS SDK. Follow deliverability best practices to maximize the number of emails that reach your recipients’ inboxes.